An ever growing list of emulators that replicate games machines from the 1970's to more recent times. 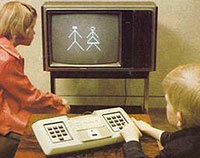 For beginners, I recommend trying the RCA Studio II and Atari VCS emulators first. As PCs become more powerful, successive generations of games consoles should become progressively more accessible. In the future, games will be made much more accessible from day one, making all of this unnecessary. Hopefully. If any links are broken, or for more support, please contact me. 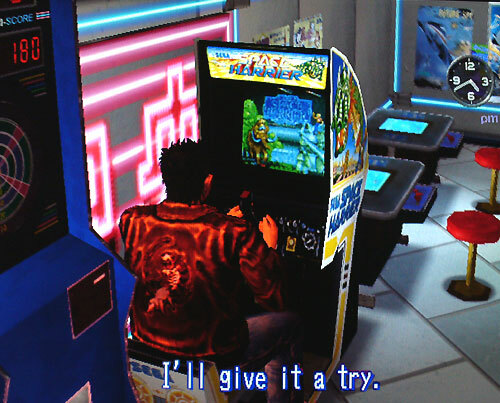 MAME DI (Multiple Arcade Machine Emulator with Direct Input) enables coin-op arcade games to be played using assistive technology and cheats to make playable for the first time ever for some disabled people. RCA's Studio II games console is of historical interest being the first on record to be used by disabled gamers using adaptive technology. 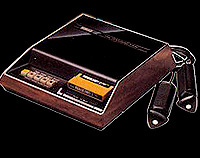 RCA's Studio II games console was an early game console used by some disabled gamers using adaptive technology. 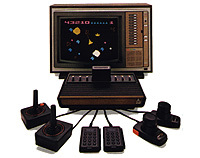 The Atari VCS (aka Atari 2600) was a massively popular machine in the late 1970's and 80's. The first to officially bring Space Invaders into people's homes, and one of the first to offer accessibility options in mainstream games. 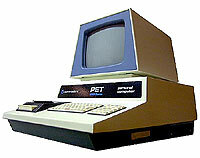 The Commodore PET was one of the first home Personal Computers, released in 1977. Included here due to "Air Attack" one of the first ever fully one-button playable games. Bringing Sonic the Hedgehog to the world, the SEGA Megadrive (aka Genesis) is a much loved machine.